Marinate bitter gourd with turmeric powder and salt .Keep aside for 5 minutes. 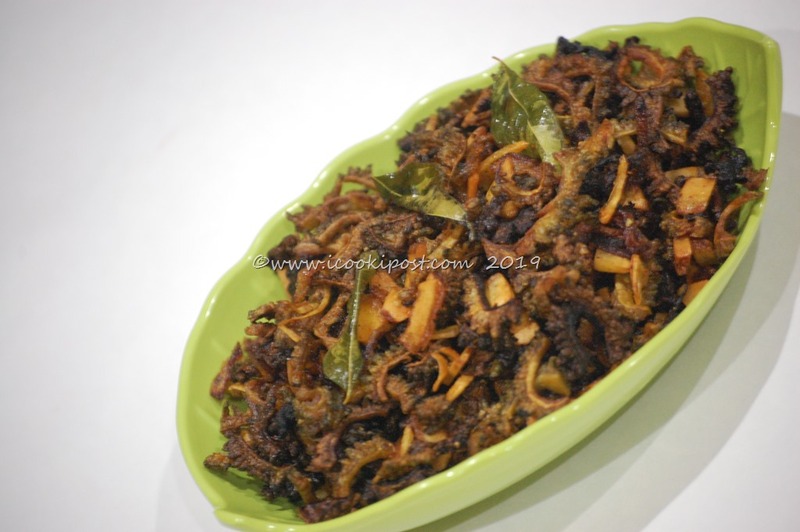 In a pan, Add coconut oil and fry bitter gourd pieces till crispy. 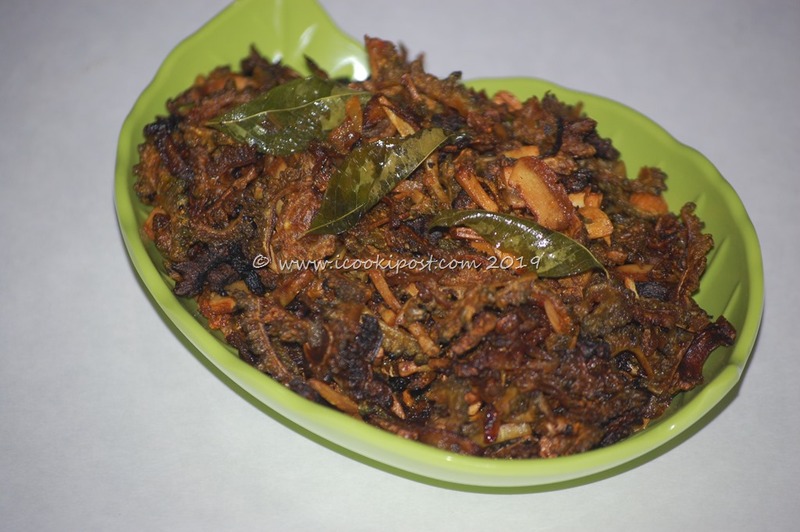 In the same pan, add ghee and fry coconut bits till light brown.Transfer into a plate. Then add chopped onions and saute well. Add garlic and curry leaves and fry till brown in color. Serve with Rice as side dish.